Beautifully renovated & updated Homeland landmark. 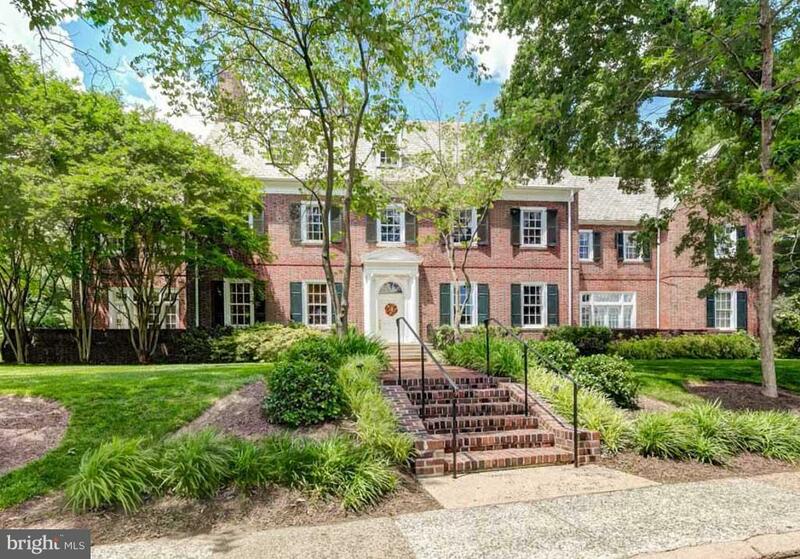 Gracious all brick 6BR, 4/3BA Georgian home on landscaped 1+ acres. High ceilings, fine moldings, elegant CenterHall, formal LR w/FP & DR w/FP, cozy Lib w/FP, gourmet Kit w/large dining area & separate Butler's Pantry. MBR w/SittRm & SpaBa, 2nd floor Laundry/Kitchenette, LL ClubRm w/FP & wet bar. Walled brick Terraces, stone Patio & 2-car Garage.